Sending flowers to someone you care about can be a beautiful, unique way to express your feelings. In fact, according to research done at Rutgers University, the gifts we choose to convey our special messages can say a lot about us. 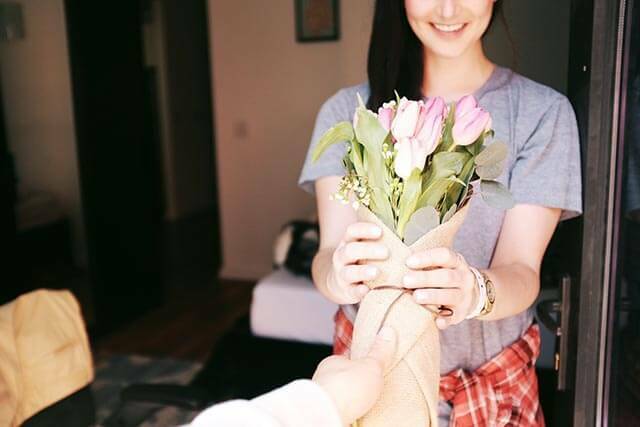 While you don’t need any special occasion to send someone flowers, here are a few occasions when choosing to send flowers would send a meaningful message. When someone passes away, it’s always nice to check up on the bereaved. It’s also common practice to bring food and help in any other ways possible. Funeral flowers can also be a very compassionate gesture. Whether they’re delivered in person or you have flowers delivered from far away, your flowers are sure to show them how much you care about them during this difficult time. Sympathy flowers also play an important role in the grieving process. Funeral flowers displayed at the service can help brighten a sad environment and have soothing qualities to help the emotional well-being of the bereaved. Whether you’ve been with your significant other for six months or 40 years, flowers are a sure way to show them just how much they mean to you. Everyone has a unique way of celebrating, but flowers are a great addition to any celebration. Flowers will symbolize the special time you have been together, and you can even do some research or ask a florist to find out the meanings of specific flowers to ensure they’re extra special. When someone you care about is sick or injured, sending flowers can be a great way to show them you’re thinking of them. Especially when it comes to conditions that are more serious and may require a long hospital stay, flowers can brighten up the room and boost the spirits of your loved one. Birthdays are truly special, and your loved ones deserve a present as special as they are! Giving the gift of flowers can be a creative way to express your emotions and let your loved ones know how special they are to you. Speaking with a florist about finding the right flowers for your special occasion will be helpful in choosing the perfect flowers.